Little over a month ago Team England Adaptive astounded surfers globally with their exceptional performances at the Stance ISA World Adaptive Surfing Championships. The squad exceeded all expectations & firmly marked their presence on the world stage. It’s an imperative moment for Team England who returned with 3 medals on the world stage, reinforcing Surfing England’s dedication to the sport & adaptive athletes, all as part of their healthy surfing community. In 2018 the Adaptive surf scene in England has seen exciting developments & only gone from strength to strength. In June last year, Surfing England debuted their first training session for coaches & enthusiasts on Adaptive surfing, aiming to break down barriers & increase inclusivity in the sport. With growing media attention, the Team England squad nearly doubled in size with fresh faces joining the surf scene ahead of Cali. It’s shaping up to be an immense 2019, so we’re taking a little time to reflect & round up some incredible 2018 achievements & share some serious stoke. With a consistent & solid swell for the whole week in La Jolla it allowed our athletes to really perform at their full potential. Pegleg Bennett surfed superbly in the largest division of the AS1 Open. Peg has really worked on making his surfing more progressive & the proof was in a quarter final finish. In the AS4 Open division Spike Kane was up against immensely tough opposition not only with his fellow competitors but also the ocean. Spike is probably the most respected & loved athlete at the entire event. Not only does he ooze stoke but absolutely rips. Spike had two tough heats & didn’t progress but provided invaluable team points. Our real weapons were our women. Winning three medals! Charlotte Banfield won the hearts of the competition last year where she won Silver. This year she surfed brilliantly again, with great competitive awareness & progression she went & medalled again, this year attaining a bronze. One of the most remarkable medals was for Suzanne Edwards. 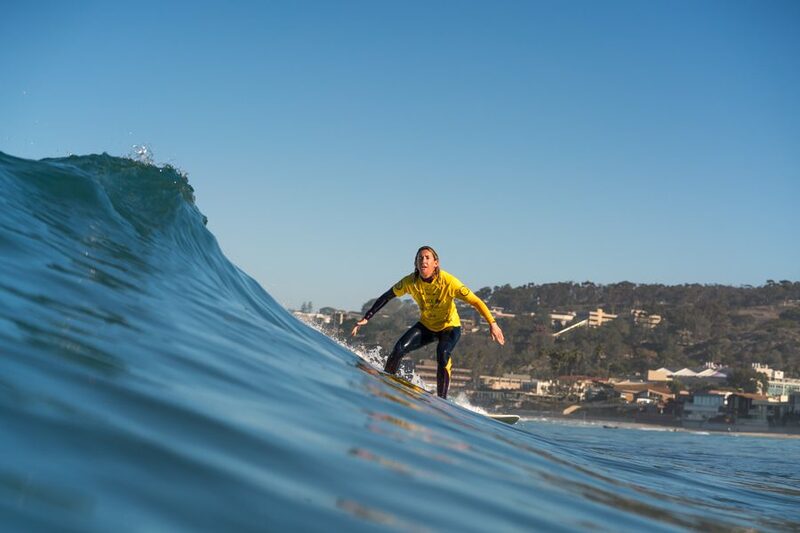 Suzanne surfed before her accident & made the hugely brave step to contact Surfing England following seeing the English nationals in June last year. With the support & efforts of Team Manager Andy Joyce, Suzanne found herself pulling on an England Jersey. With huge determination & tenacity Suzanne started to move through heats only to find herself in a World Championship Women’s final. Suzanne in a tense final fought through & picked up a bronze medal. Our final medal came in the Women’s Visually Impaired division when Melissa Reid took gold. Melissa surfed brilliantly, taking critical drops & executing some great turns. 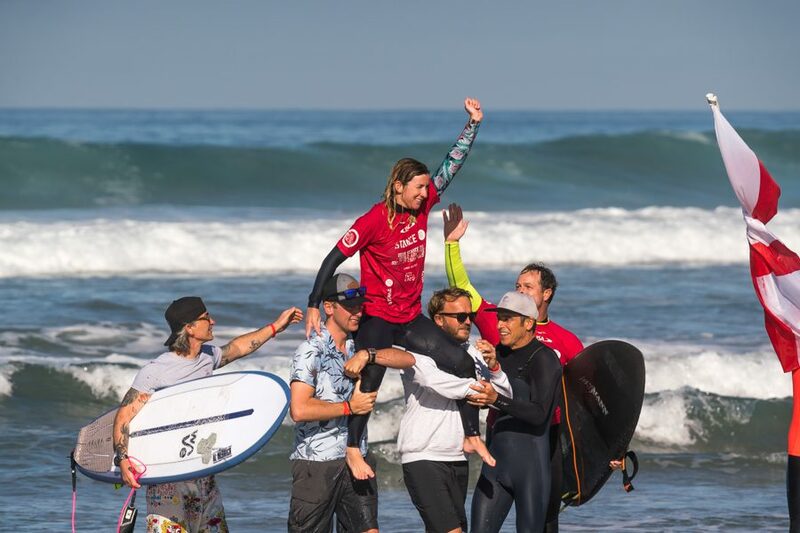 With a clinical display in final Melissa became England’s first ever World Surfing Champion. Within the Adaptive community Team England is seen as a genuine threat competitively but also as an NGB that sees inclusivity and accessibility as a defining part of its structure. With the support of our sponsors and the growth of our team, we are potentially within reach of medalling as a whole team on the world stage. 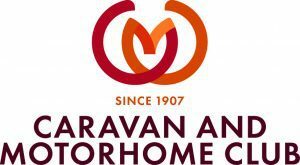 Thank you to our amazing sponsors for making it possible; The Wave, Korev Lager, Caravan & Motorhome Club, Stance, Pacsafe, Dryrobe & Pukka Herbs. An extended & huge thank you to our incredible volunteers Andy Joyce (Adaptive Team Manager), Matt Harwood (Head Coach for Adaptive), Nick Hounsfield (Surfing England Director & Adaptive support) & Nick Asheshov (Adaptive support) for all your hard work in delivering a world class Adaptive Program. To anyone out there interested in taking up adaptive surfing, please get in touch. There is an amazing community just waiting to welcome you & the door is wide open, Surfing England are committed to enabling & breaking down the barriers for all.